WHEN it comes to sleep depravation, parents of young children generally think of the shuteye they lack. Truth is, kids these days don’t so much cause absence of sleep as they suffer it themselves. Back when I was a very young child, bedtime was part of a very strict ritual. Dinner, quiet-ish indoor games, brushing of teeth, story telling, lights out. A few years later, I went through a phase of reading a book under my blanket, holding a flashlight at an awkward angle until my shoulders hurt. Then came the days of trying to talk my parents into letting me watch a series on television; Dallas, for those of you who are old enough to remember J.R. Ewing, Miss Ellie and the Ewing clan on Southfork Ranch. Whatever the reason I managed to stay up “just a little longer”, one thing is for sure. By the time I did go to bed, I had survived a full day at school, gone to ballet classes, played outdoors with my friends and finished all my homework, and I was getting a good 10 hours of sleep every night. These days, young children’s evening routines are very different. Even if I bemoan the fact that many children don’t get bed time stories read to them in the evening and hardly play outdoors with their neighbours any more, I do realise that times have changed and so do rituals. Our children face a much tougher competition at school, on the sports field and, eventually, on their path to a rewarding career than we ever did. Playing tag in your little cul-de-sac and stumbling through homework won’t cut it any more these days. In order to be perceived as well-rounded individuals, youngsters need to make the team in a competitive sport, or better yet, two sports. They need to play a musical instrument, take singing lessons, lead the debate club and sit through hours of tuition after school each day. But, evolution doesn’t keep up with our civilisation’s development. Kids still need to play, socialise in a non-competitive environment, be allowed some downtime, and get as much sleep as we did. Alas, with all this hustle and bustle, there is not enough time for a good 10 hours of sleep at night. If you happen to work with the parent of a new-born, you must be familiar with the effects of sleep deprivation in adults. Your co-worker is most likely irritable one minute and daydreaming the next. And, you patiently sit through it all because you know it will eventually get better. Sleep deprivation in children, on the other hand, is a far more serious issue. According to a study published in the Harvard Gazette, children who don’t get enough sleep are more likely to have problems with attention, emotional control, peer relationships and even obesity. 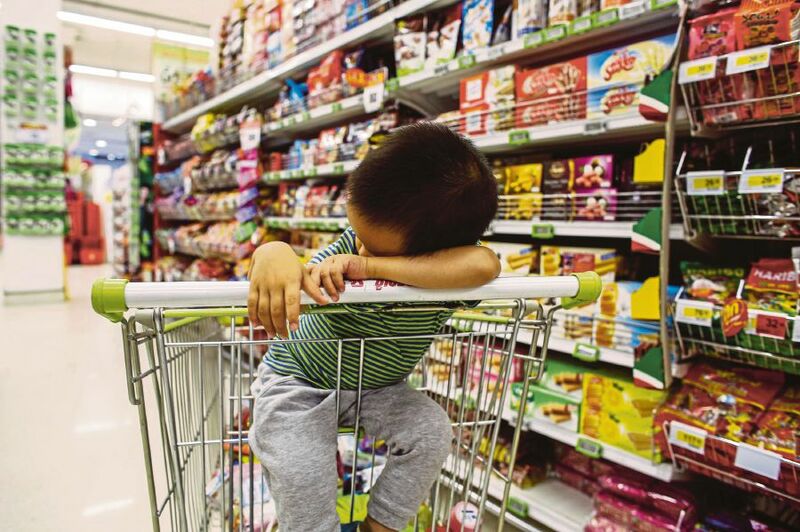 “We found that children who get an insufficient amount of sleep in their preschool and early school-age years have a higher risk of poor neurobehavioral function at around age 7,” says Elsie Taveras, a paediatrics professor at Harvard Medical School. Other studies conclude that such children grow up to be poorly adjusted teenagers and young adults due to insufficient regenerative sleep periods during early brain maturation years. Besides lack of behavioural and emotional control, and of social and academic competence, the most obvious direct health consequences of insufficient sleep are high-risk behaviours associated with substance abuse and car accidents. According to the Nursing Management journal, “reducing sleep time by just one hour can measurably impair children’s cognitive processing”. Parents’ high expectations, peer pressure, late night use of electronics and their high level of visual and cognitive stimulation can affect an adolescent’s ability to fall asleep and thus result in chronic lack of sleep. Whether we consider ourselves to be pushy, tiger parents or the over protective helicopter kind, the one luxury we need to award our children is enough sleep at night. No amount of certificates, diplomas or sports medals will do our progeny any good if they grow up to be struggling with mental or physical health issues.